Jeff Glass’ spirit is shatterproof. 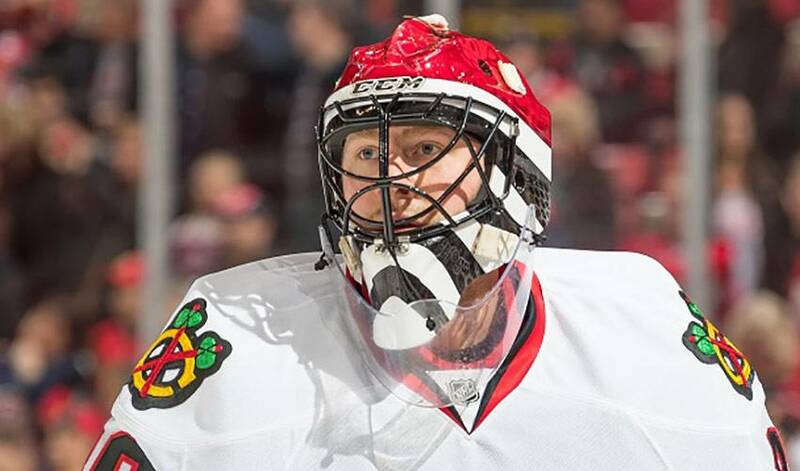 The Chicago Blackhawks recalled the persistent Glass from the AHL Rockford IceHogs to serve as Corey Crawford’s backup for five games earlier this month. His first NHL promotion turned up 13 years after the Ottawa Senators selected the Calgary-born goalie in the third round (89th overall) of the 2004 NHL draft. One of the first Blackhawks to greet Glass upon his arrival was veteran defenceman Brent Seabrook. The two butted heads for three seasons in the WHL, Seabrook with the Lethbridge Hurricanes and Glass with the Kootenay Ice. They won gold together with Sidney Crosby, Jeff Carter, Ryan Getzlaf and Patrice Bergeron on the talented 2005 Canadian junior team in Grand Forks, N.D. Glass finished that season off as the Del Wilson Trophy winner (WHL's top goalie) and the Canadian junior goalie of the year. “I had not seen him since 2005,” Seabrook said. “It was cool to see him and catch up on his story over the last 12 years and to see how hard he has worked. Glass doesn’t mind waiting a little longer. He started his pro career with the Senators organization in the fall of 2005, starting at the bottom with the Charlotte Checkers of the East Coast Hockey League, played in the AHL and in the Russia’s KHL before returning to North America last fall. The 31-year-old Glass played in a total of 407 regular season and playoff games in the ECHL, AHL and KHL before getting called up to the Blackhawks on Mar. 3. Wharnsby: How did you find out the Blackhawks had called you up and what thoughts or emotions flooded through your mind? Glass: It's funny how you always picture things like this happening slightly different. We had just finished a morning skate in preparation for a game that I was scheduled to start for Rockford vs. Manitoba Moose later that night. I had already left the rink and was almost back home for my pregame meal when I got the call from [IceHogs general manager] Mark Bernard. He let me know that I was being called up and to turn around and get back to the rink to grab my gear before heading to Chicago. At this point, I didn't know the circumstances regarding the call-up but it didn't matter. The next couple hours were full of some of the best phone calls I have ever had to make. My goal has always been to play in the NHL, but my first step to being an NHL regular is being called up, and that was happening. After calling my wife, then my parents, I was able to call a couple friends and coaches that have helped me and I knew would be excited to hear the news. Being able to share the excitement of the call with them might have been one of the best parts. Wharnsby: What were your biggest takeaways from your time with the Blackhawks? Glass: The thing that stuck with me the most after getting to spend time with the Blackhawks is the standard that they expect and demand from themselves. Each one of those guys is so proud to put that jersey on and realizes what it means to be a part of such a special 'original 6' organization. Watching the way the guys prepare in practice, and then carry it over and hold themselves accountable in games is why they know they can win every night. The confidence that then comes from this type of work ethic was fun to be apart of. Another huge takeaway for me was how welcoming all the guys were on the team to me. They made me feel like I was apart of the team the minute I stepped into the locker room. I know things like this can tend to be cliché, but it really was beyond my expectations and shows just what type of guys they are. Wharnsby: Brent Seabrook remarked it was "cool" to see you after all these years. He hopes that you two will be teammates with the Blackhawks when you make your NHL debut. What does that mean to you? Glass: It was great to reconnect with Seabs after all these years. Playing in the KHL for seven seasons really disconnected me from a lot of guys with the schedules starting and finishing at different times. Even though we both spend our summers in a similar part of Canada, I haven't crossed paths with him for many years. To see what he has done on and off the ice since I have last played with him is nothing short of spectacular. He is a leader with the Blackhawks and a highly respected guy. Considering I haven't seen, or played with him for so many years it was great that we were able to pick up right where we left off. Hopefully, I am lucky enough to have him on my side when I make my NHL debut. Wharnsby: Seabrook admires your perseverance, as do many. How did you end up with the Blackhawks organization and what has kept you chasing the dream? Glass: Everybody has a story on what motivates them and how they got to where they are. The funny part about my story is that the journey that got me here is also what motivates me. Last time I had a chance to play in North America I was a different person and definitely a different goalie. I was young and naive and expected my path to be smooth and seamless to the NHL. However, what I learned was that I actually had lots of choices to make that will decide if my career fades off or if these are just building blocks that will make me an NHL goalie. Choosing to spend the last seven years in the KHL has not only made me more mature but allowed my game to evolve and develop to a point where I am confident I can compete at the top level. With all that being said I made the choice this past offseason to pursue an NHL position which I knew wasn't going to be easy but I was more prepared and motivated now for the path that it would be. This path started in Toronto with the Maple Leafs on a PTO and then transitioned into an AHL PTO with the Marlies. With a crowded crease in Toronto I knew it would be tough to get some games and I was offered a great opportunity with Rockford. I was able to parlay my opportunity with Rockford into a contract with the Chicago Blackhawks. Having the privilege to sign with such a successful organization, combined with the fact that I am closer now than I have ever been to making my NHL debut, keeps me more motivated than I have ever been before. I feel like I left my dream unfinished when I left for the KHL. Now I have a chance to live my dream with one of the best teams in the league and I couldn't be more excited. Wharnsby: Obviously, when you play your first NHL game it will be a highlight of your career. But what do you consider the finest moment of your career and why? Glass: It’s difficult to pinpoint a specific spot in my career, and without doubt, call it the finest moment of my career. Twice I have been able to represent my country on an international stage and so I look back on those tournaments and I'm quite proud of the teams I was a part of. 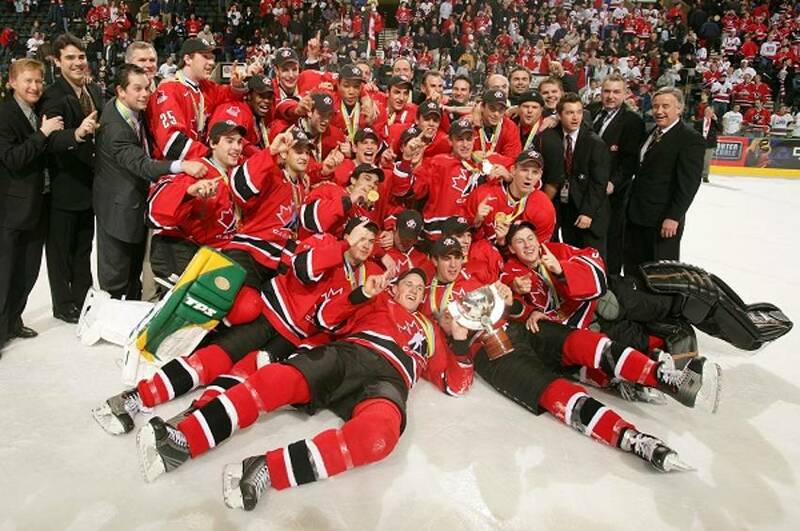 In 2005, I hadn't even played one game of professional hockey but I knew that playing on that World junior team was something special and that no matter how long my career went after, I would still cherish those memories. Eleven years later, and after spending seven years in the KHL, I was able to represent Canada again at the Spengler Cup. Both times we won gold and I was able to play with guys I will call friends for life. Pulling on that Canadian sweater means something, and anyone who has had the privilege of doing it knows exactly what I'm talking about. Dane Jackson, in his 13th season on the University of North Dakota men’s hockey coaching staff, serves up five reasons why Chicago’s captain is a top-shelf talent.